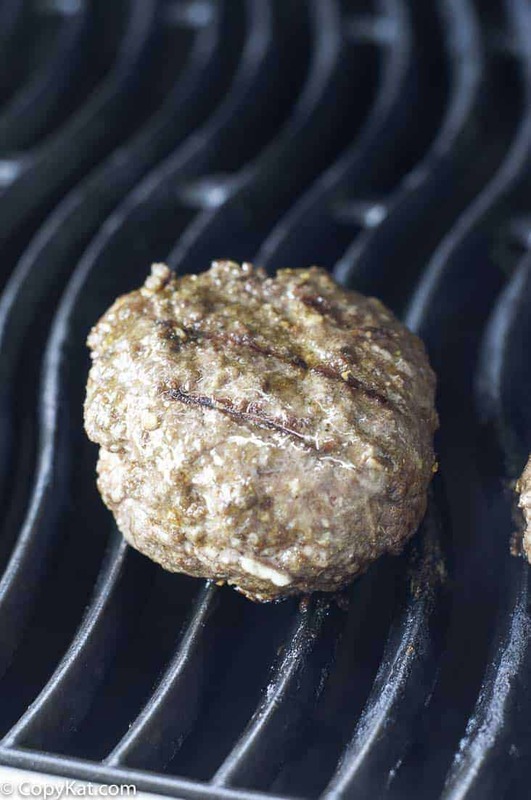 You may have seen these before; stuffed burgers are also known as a Juicy Lucy. These stuffed burgers are a wonderful way to enjoy a burger in a new way. During the summer we all love to grill. Did you know you can turn an ordinary hamburger into something much, much, more? A stuffed burger is so easy to make, you can stuff the burger in so many ways. You can stuff it simply with some grated cheddar cheese, or you can stuff it with something exotic like a cream cheese and jalapeno peppers. You might wonder how to make these new burgers, but it isn’t difficult at all. I like to use ground chuck to make these stuffed hamburgers. I season my ground meat with a hamburger seasoning like a smokey brown sugar seasoning, or sometimes I add some simple salt and pepper. I always add a shot of Worcestershire sauce to make this grilled delight more flavorful. What should you use to stuff the burger? I have used Cheddar cheese, Swiss cheese, or even a simple blue cheese. If you didn’t want to use cheese you could add some grilled vegetables or even some barbeque sauce. Want more great ideas for when you fire up the grill? Check out these favorite grill recipes. Fire Up The Grill! 7 Must Try Stuffed Burgers. Learn how to make a stuffed burger. In a bowl combine ground chuck, burger seasoning, Worcestershire sauce. Make 8 portions from the ground meat. In 4 of the portions make a well in the middle and add in the cheese. Take another portion of the ground meat and place on top. Seal the two portions of meat together very well. Heat up a grill to about 350 degrees. 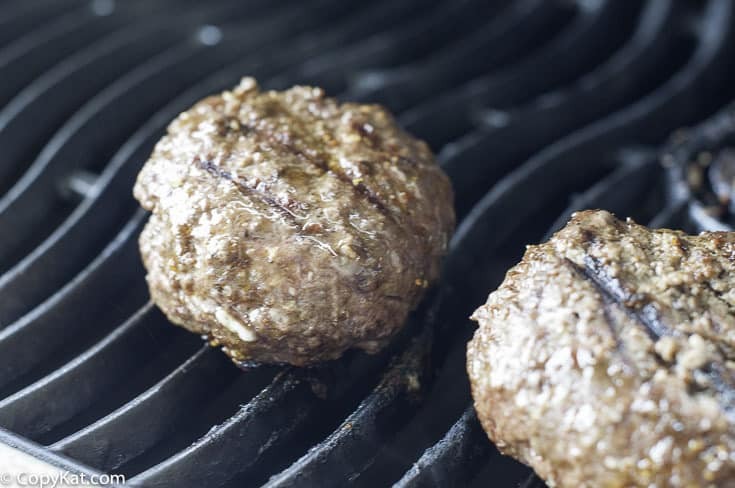 Cook burgers to your personal level of doneness. Serve burgers with the hamburger buns. I don’t make stuffed burgers often, but I love them when I do. I use cheddar, apples, and bacon! wow these are making me so hungry right now. I wonder if these would be just as good using ground turkey? How funny! I’ve never heard a stuffed burger called a Juicy Lucy. We like to stuff our burgers with cheddar. Oh yum! My husband makes a secret stuffed burger. I’m not sure what all he puts in there but I love it every time. I, on the other hand, have yet to try this. Maybe it’s time! We love stuffed burgers! Yours look amazing…ours never turn out that pretty but they sure taste good. I like caramelized onions, mushrooms and swiss; Steve likes bacon – lots of it. That’s probably why ours don’t look like yours…we fill then too full! Great post!!!! I have never had stuffed burgers. Sounds like I need to make them – they look great. I love eating stuffed burgers but haven’t ever made them before. My favourite is bacon and cheese. So delicious! !